Classical 91.5 Presents, a series that spotlights classical music connections in film, presents this 1994 film about the life of composer Ludwig van Beethoven. Join WXXI at the Little Theatre on Saturday, December 1 at 3 p.m. for a special screening of Immortal Beloved. 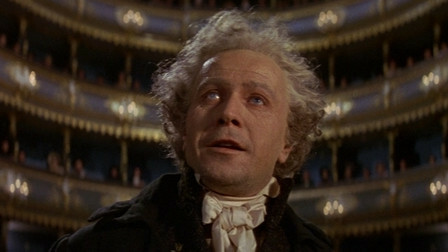 This biography of Ludwig von Beethoven (Gary Oldman) builds its narrative around a letter found after his death, addressed only to the composer’s “immortal beloved.” Discovering this person’s identity falls to Beethoven’s friend and secretary, who sets out on an investigation that soon becomes an exploration of the composer’s life. Come early to hear movie-themed music with the Empire Film and Media Ensemble in the Little Café at 2 p.m. and stay after the film for a lively panel discussion. Selected by our Classical music hosts Julia Figueras, Brenda Tremblay and Mona Seghatoleslami, each film chosen exemplifies the power of music in a non-traditional narrative. Tickets are $7. Other screenings in the series include: On the Town (September 29) and Immortal Beloved (December 1). Find out more information about Classical 91.5 Presents, including upcoming films, on The Little Theatre website.